Three countries. One passion. Three hundred bodies — climbing, reaching the sky to build a human tower. 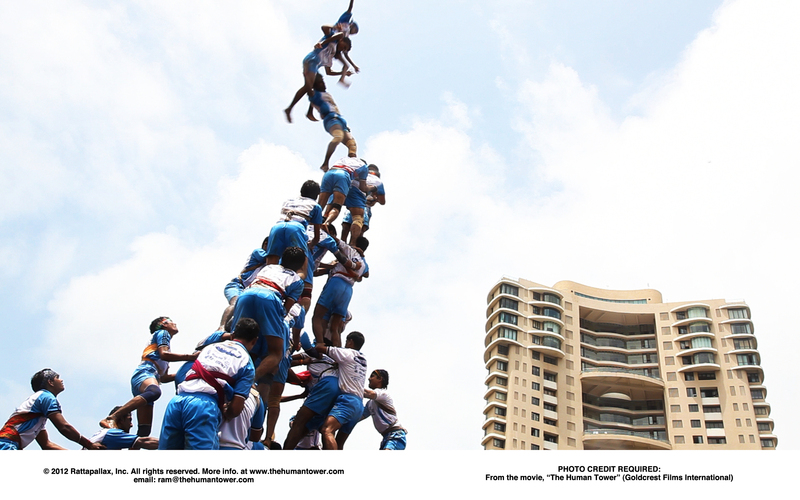 In Mumbai, India, a team of men attempt to break the Indian record for biggest human tower at the one-day Dahi Handi Festival. 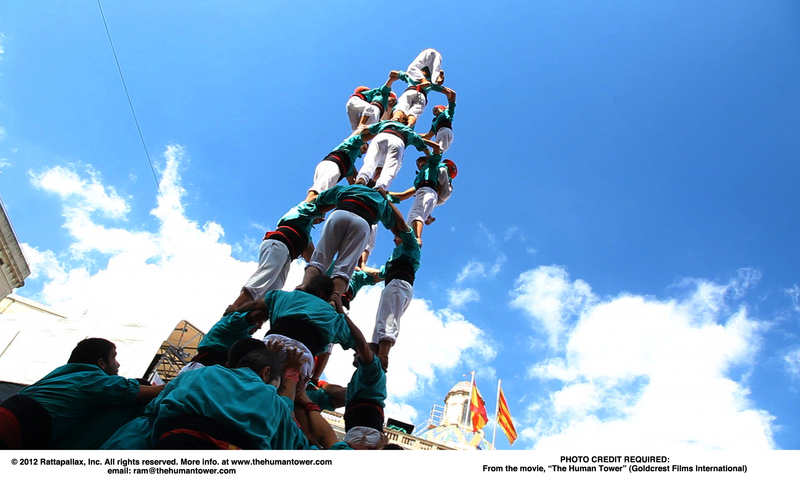 In Vilafranca del Penedès, Spain, a group of castellers ( climbers) formed by men, women and children share their passion with the world following a tradition that goes back 400 years. A legendary coach takes his passion to Santiago, Chile, hoping to empower and help the local groups to improve their performances while unifying them as a community. The film cuts between the three countries, leading to a major climatic scene that will take your breath away and keep you on the edge of your seat. All it takes is one shaky foot and the human tower falls, sending hundreds of bodies tumbling in the rain or into the mud or onto the crumbling pavement of a forgotten neighborhood. A passion beyond race, borders, and ages. A global story of fearless skills heart-pounding suspense and also of human connection. Why Make Human Towers? Human towers are medicine for the soul. You risk your life for a moment of sublime camaraderie and community. Trust is paramount. All it takes is one shaky foot and the entire tower falls, sending you and hundreds of others tumbling into the air, onto each other and then onto the pavement. Building human towers is more than a quirky attraction, more than an international sport and more than a refuge for lost youth. It’s more even than a thirst for the glory of winning. 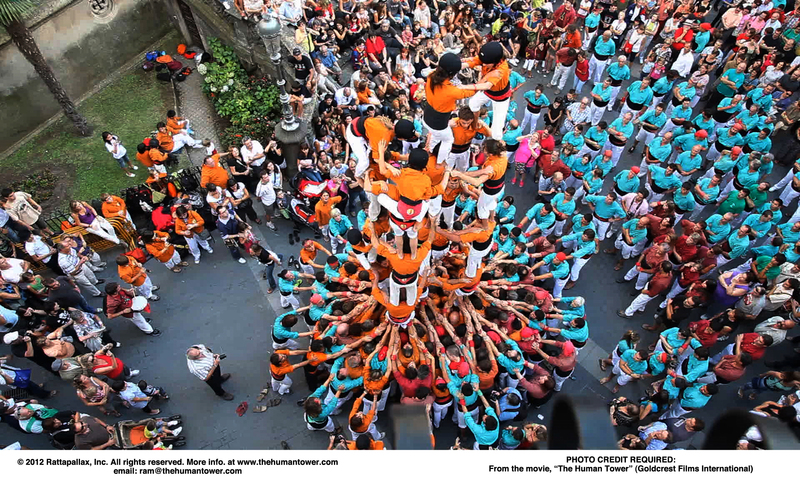 A human tower, when done right, represents an unparalleled passion for human connection that goes beyond race, borders and ages. In this sense, the world’s best human tower builders represent all of us — all people, all communities, all nations — in our hope for a better future.